Looking back, the world has learned so much from the Star Wars franchise. From everything from the inability to shoot straight to knowing having a Sith Lord as your boss is a health hazard. Yet if we take a closer look using the trusty marketing magnifying glass, there is still so much more we can pick up from the universe’s favorite Sci-Fi franchise (sorry Trek fans, it’s the truth). In fact, based on these amazing one-liners, we reckon the entire cast would make pretty epic marketers. Darth was right to be disturbed, faith is the cornerstone of success in any marketing initiative.Exciting new marketing strategies shouldn’t be scary. While there will, of course, be some risk in pursuing a new direction, this risk is something to be embraced, not feared. If you genuinely feel uneasy about your new direction then it’s worth looking at how others have performed in your position. The chances are, someone has already executed and documented how they have turned the opportunity staring you in the face, into a success. Do your research and there’s no doubt you’ll feel optimistic about the results you could achieve… just make sure your execution is correct! During the Battle of Endor, in attempts to destroy the DeathStar Gold Five reminds the squad to stay on target. Before the battle, every one of them was given a brief dictating their role and placing the objective front and center, with this clarity they came together as a team to accomplish the destruction of a terrifying weapon. Your marketing campaigns are no different and should have clear actions and targets. Without a well-defined path you could end up allowing Darth Vader to destroy another planet…. now, why would you do that? Can anyone translate what the Wookie is saying? Han Solo? We may not know what it is, but I’m pretty sure Chewbacca has been saying something of value all of this time! Anyone? Anyone? Saving a Princess like Leia can be hard work, even breaking into a fortified spaceship may not be enough to get her out of trouble. Sometimes the objective is just beyond your capabilities. At these times of stress, things can get overwhelming, particularly when the target is so challenging with the workforce available. In these instances, you need to recognize when to outsource some of your workloads. Marketing agencies can offer you the opportunity to focus on the more important overarching decisions and supply you with recommendations that could make all of the difference. When Luke Skywalker blew up his first TIE Fighter, Han Solo set his expectations straight, after all this was a tiny success in comparison to the challenge posed by the likes of the Imperial Star Destroyer! In regards to marketing, it’s easy to get away with one strategy, especially when it supplies positive results, but these may not last forever. Bigger and badder challenges await you. You can’t obliterate the Star Destroyer with a single gunner (unless it’s the Death Star of course, but you get my point). New marketing strategies and routes to market are in constant transition if you only stick to what you are used to deploying you will crash and burn like Sebulba’s pod racer. Although Han Solo is right in the sense that you must remember not to get carried away, Qui-Gon Jinn guides little Anakin Skywalker in the importance of focus. Having a strategy that coincides with your target and your ultimate objective is key to success and essential to becoming the greatest Jedi in the universe. 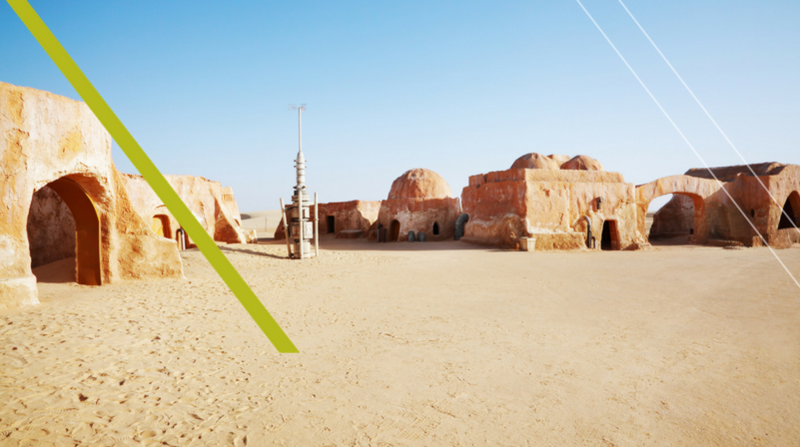 May the Force be with you and your marketing efforts!